Join us for an exciting high-speed adventure aboard Bermuda’s spectacular tour sensation, the WildCat. Our “WildCat Coastline Adventure” takes you on an exhilarating 90 minute tour around the western and central parts of the island, passing The Royal Naval Dockyard, City of Hamilton, Mangrove Bay, Governor’s House, Kings Point, the Sea Gardens and much more. As we round Bermuda’s furthest tip of the triangle we take you to the Vixen shipwreck where hundreds of friendly fish which come up to the boat when we arrive. Here you will learn about the shipwreck and the tales of the Bermuda Triangle too. 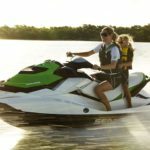 Then it’s time to tighten those belts as WildCat takes you on an exhilarating action-packed ride around the coastline of the Great Sound, Little Sound and Hamilton Harbour. 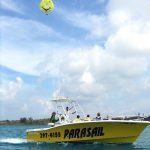 This Adventure comes complete with an entertaining narrated tour of the Island’s historic sites and points of interest, and is a must do for persons who are looking for the ultimate sightseeing adventure and charter! Pickup & Drop Off: Hamilton or Dockyard or any suitable location. What’s Provided: Bottled beers, coolers, sodas and alcoholic beverages can be priovided upon request. We have a large cooler onboard. 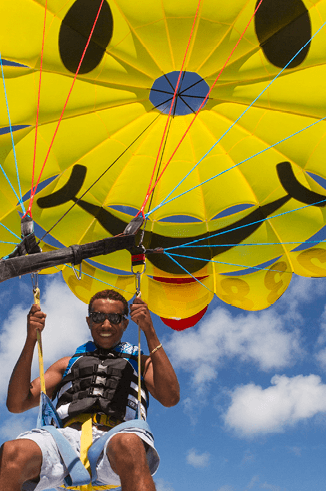 Enjoy a thrilling sightseeing adventure around Bermuda’s gorgeous coastline and see more of the island in one day than many locals see in a lifetime. Take in many popular sights as you travel at exhilarating safe speeds on this fully – narrated 2.5hr tour. 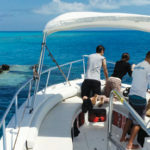 See island hideaways, luxury resorts & homes, towering lighthouses, beaches, shipwrecks and more, not to mention a visit through the tip of the Bermuda triangle where we stop to feed hundreds of friendly fish that come up to the boat when we arrive. 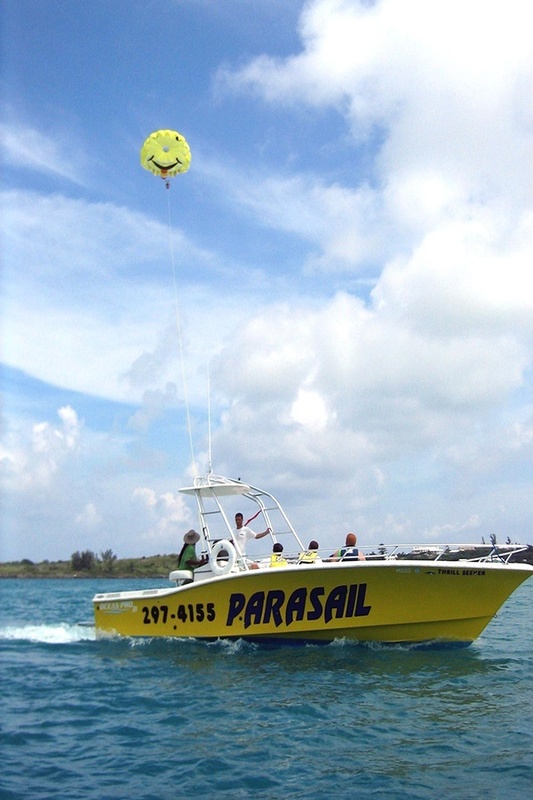 During this adventure we also anchor off at a silky white sandbar or beach area for 1 hour where guests can take a dip and cool off in our turquoise waters. This charter is perfect for guests who like to vacation in the fast lane and who want to see and experience Bermuda by water! Charter includes floatation noodles and/or floatation vests for guests should they require them. Bottle water can be purchased onboard. Join us for the ultimate thrill adventure aboard Bermuda’s spectacular tour sensation, the WildCat. Our “Round The Island Adventure” takes your group on a high-speed sightseeing adventure around the entire island of Bermuda. As you explore the island you’ll get a view of Bermuda’s scenic coastline that even some locals have never seen before, complete with an entertaining narrated tour of the island’s historical sites and other points of interest. During the tour we stop and anchor at one of our swim areas (Castle Harbour, Deep Bay, Gibbet’s Island, Paradise Lakes, Kings Point) where everyone can relax and go for a 75 minute swim. This Adventure is a must do for everyone wanting to see Bermuda and all the beauty it has to offer, plus stop off for a swim. What’s Provided: Cold bottle water complimentary. Bottled beers, coolers, sodas and alcoholic beverages can be priovided upon request. We have a large cooler onboard. 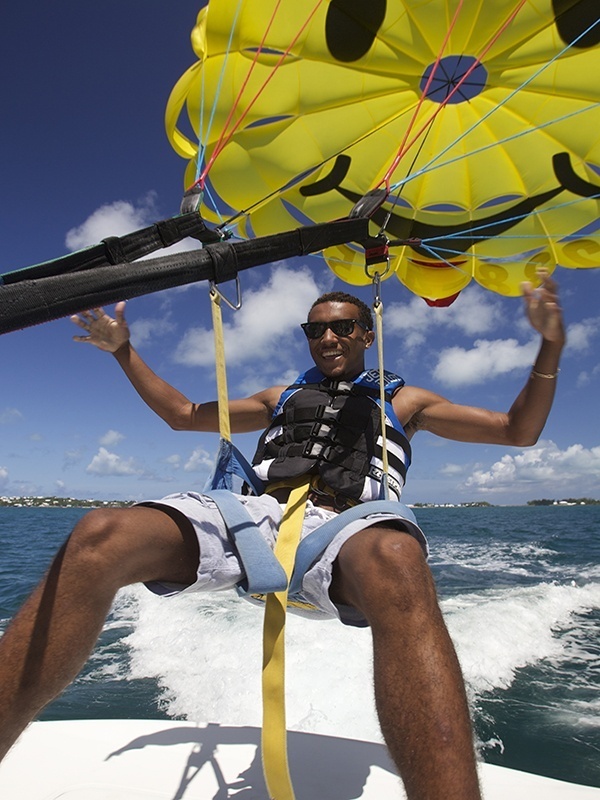 Join us for the ultimate thrill adventure aboard Bermuda’s spectacular tour sensation, the WildCat. Our “Round The Island Adventure” takes your group on a high-speed sightseeing adventure around the entire island of Bermuda. As you explore the island you’ll get a view of Bermuda’s scenic coastline that even some locals have never seen before, complete with an entertaining narrated tour of the island’s historical sites and other points of interest. 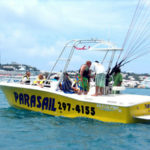 During the tour we will stop and dock the boat in the Town of St. George’s where your group will have aproximately 90 – 120 minutes to have lunch and drinks at the White Horse Pub & Restaurant. 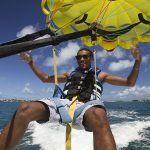 This Adventure is a must do for everyone wanting to see Bermuda and all the beauty it has to offer, plus with the added time of stopping for lunch in the Town Of St. George’s. What’s Not Included: Food & Drinks at the White Horse. The White Horse bill would have to be paid for by credit card directly to the restaurant at the end of the meal and before guests leave to get back onboard the WildCat. A 10% Discount will be given on the White Horse bill only, excluding gratuities. 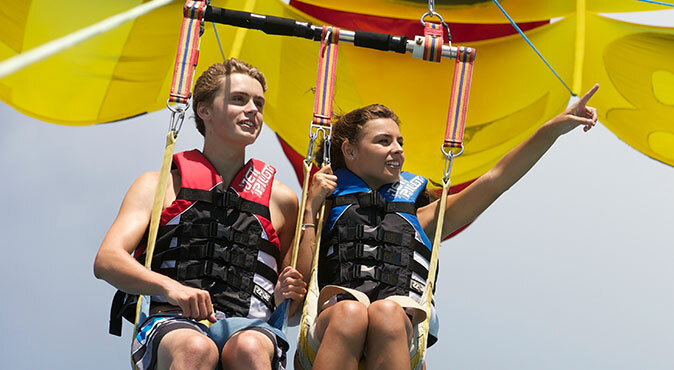 Join us for the ultimate thrill adventure aboard Bermuda’s spectacular tour sensation, the WildCat. Our “Round The Island Adventure” takes your group on a high-speed sightseeing adventure around the entire island of Bermuda. As you explore the island you’ll get a view of Bermuda’s scenic coastline that even some locals have never seen before, complete with an entertaining narrated tour of the island’s historical sites and other points of interest. 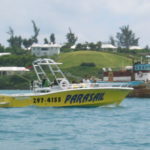 During the tour we will stop and dock the boat in the Town of St. George’s where your group will have aproximately 90 – 120 minutes to have lunch and drinks at the White Horse Pub & Restaurant. We will also stop and anchor at one of our swim areas (Castle Harbour, Deep Bay, Gibbet’s Island, Paradise Lakes, Kings Point) where everyone can relax and go for a one hour swim. 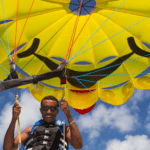 This Adventure is a must do for everyone wanting to see Bermuda and all the beauty it has to offer, plus with the added time of stopping for lunch in the Town of St. George’s and swimming. What’s Not Included – Food & Drinks at the White Horse. The White Horse bill would have to be paid for by credit card directly to the restaurant at the end of the meal and before guests leave to get back onboard the WildCat. A 10% Discount will be given on the White Horse bill only, excluding gratuities. What’s Provided: cold bottle water complimentary. (Bottled beers, coolers, sodas and alcoholic beverages can be priovided upon request). We have a large cooler onboard. Join us for the ultimate thrill ride and adventure aboard Bermuda’s spectacular tour sensation, the WildCat. 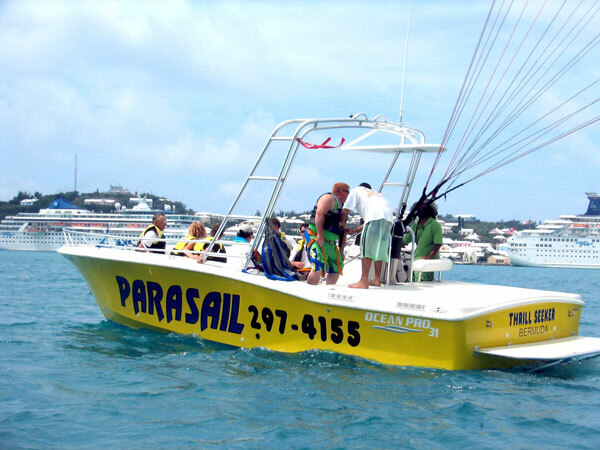 The WildCat takes your group on a high-speed sightseeing adventure around parts of Bermuda. As you explore the island you’ll get a view of Bermuda’s scenic coastline, complete with an entertaining narrated tour of the island’s historical sites and other points of interest. 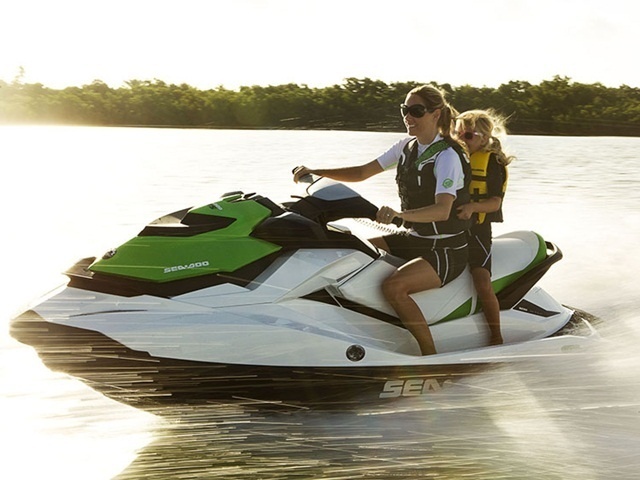 What’s Not Included: Bottled water, drinks, etc are not included for 1 hour charters. 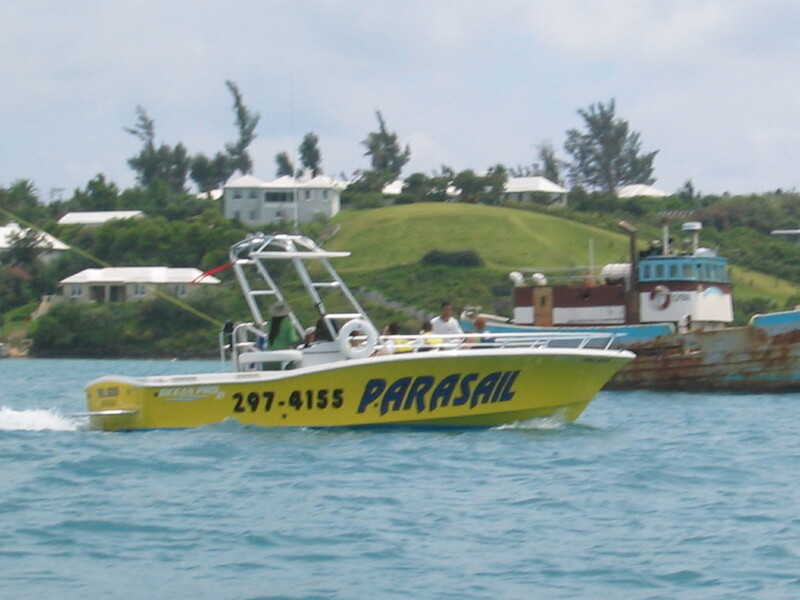 Any charter under 2 hours cannot go around the island or down the entire south shore side of Bermuda. Very Important! (It takes 2 hours minimum to go around the entire island, so this route is not an option by the hour. See our other Charter Packages which take guests around the entire coastline of Bermuda, and consists of 2 hours duration or more).